An easy stop on the road awaits you at the Econo Lodge hotel in Greeneville, TN near the Andrew Johnson National Historical Site. Our hotel is near Tusculum College, Davy Crockett Birthplace State Park, Dickson-Williams Mansion, Nathanael Green Museum and Niswonger Performing Arts Center. We provide all the amenities you need so you can stick to your budget and focus on the important reasons you travel, including an outdoor pool, a fitness center, meeting space and copy, print and fax machines. 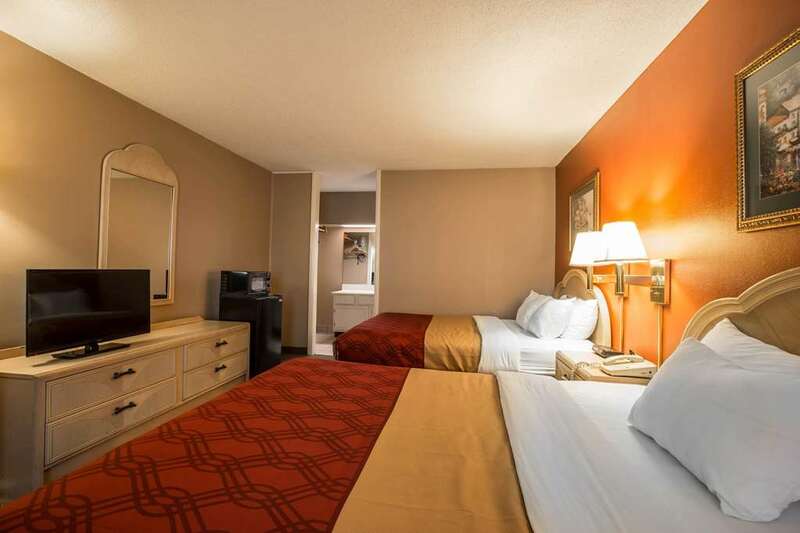 All of our guest rooms have a TV, hair dryer, coffee maker, desk, microwave and refrigerator. Also, earn rewards including free nights and gift cards with our Choice Privileges Rewards program.